Welcome to MotherRoot Midwifery. 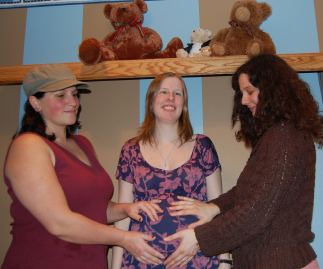 We offer a full scope of services to support women during the childbearing year, including homebirth, prenatal and postpartum midwifery care, natural birth after cesarean, birth and postpartum doula support, and women’s health education, including childbirth classes and fertility awareness education. We believe that women are inherently strong and capable of the work of bringing forth life. We seek to support the process by providing family-centered care and education which respects every woman as a unique and trustworthy individual. We serve the greater Boston area and beyond, and we may be available to travel. Please contact us with any questions or to schedule a free consultation.